When the time arrives, HQ games are announced with a push notification, reading something like, “The HQ gates are open. You may enter the game.” Within minutes, hundreds of thousands of players pour into the trivia app, waiting while electronic music plays and numbers count down to the start of the game. After some minutes the game’s host, usually Scott Rogowsky but occasionally someone else, provides the game’s rules and a couple of jokes. And then the game, consisting of 12 trivia questions that get harder and harder as they go on, begins. HQ has become a bit of a phenomenon. Players come from all over the world, families and friends get together to play, and emotions run high when getting down to the final questions. Sometimes over a million players are, by the end, narrowed down to less than a hundred, who equally split the cash prize of, currently, $2,500 between them. On Sundays and special occasions, the cash prize significantly increases in value. A video of a woman shouting and crying in excitement after winning $11.30 went viral, and it captures the craze of the app. Games occur twice a day, at 3 p.m. and 9 p.m. EST, and an average of 600,000 or so people will participate in each one. But how many of those players are Wesleyan students? HQ became popular during Wesleyan’s winter break, and perhaps access to more free time and less of a schedule meant students found themselves playing the game regularly—I know I did. I actually ended up structuring a bit of my schedule around HQ, because when I was home in California the games started at 12 p.m. and 6 p.m., so my family would wait to have lunch and dinner after we’d played and gotten eliminated. Other students at Wesleyan told me they enjoyed playing it over break but have found less time on campus to play it regularly. Classes or extracurricular activities can get in the way of the scheduled game times. But this doesn’t seem to bother most University HQties, who will make time to play. “I started playing over break when I had more time, but as my schedule got busier on campus, I would usually just play the 9 p.m. games with friends,” Kenny Chiu ’19 explained to me, after I posted on WesAdmits 2021 asking about HQ usage on campus. And this seems to be the general perspective of students on campus. Other comments on my post indicated that many people played the game, but no one let it affect their school life too much. One comment read “I stopped playing when I got back because I had better things to do,” and while other comments indicated a slight craze around the game, none made me think it was affecting class scheduling. And yet for those who love the app, it can be a bit of an obsession. 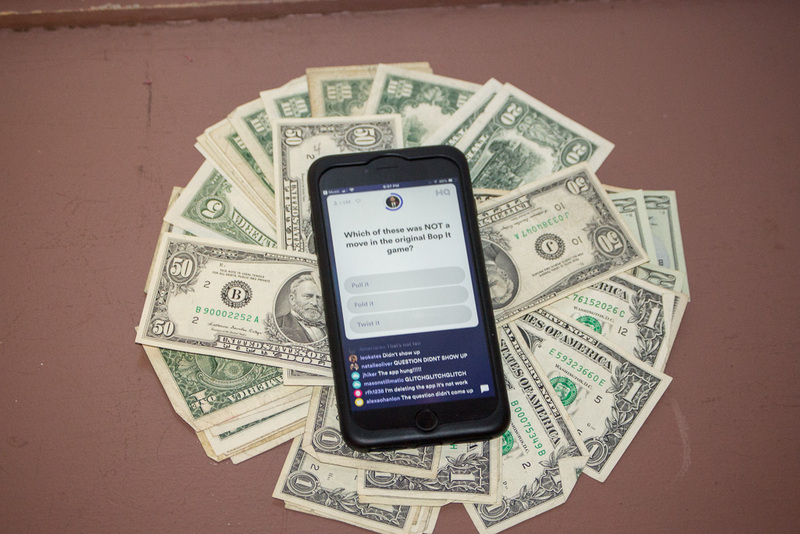 Likewise, student Matt Grimaldi ’21—who ended up, along with his friends, winning a game and taking home $180—confessed his fixation on the app. In addition to Grimaldi, Litt also won a game of HQ, on Christmas Day, when he took home $14.81. And not only is Wesleyan home to two confirmed winners, it also was even mentioned during a game, on January 14. The question, which was something like “Which one of these is a vehicle with only one wheel?” included the answer “Unicycle.” It was one of the first questions of the game and as such was intended to be easy, and predictably most players got it correct. Right before Scott announced the right answer, he explained that if any players went to Wesleyan they’d be sure to know this answer, given the number of first-years unicycling throughout campus. Whether or not this is specifically accurate is mostly beside the point. It shows that Wesleyan and HQ are intertwined. While I was in Exley a few nights ago as 3 p.m. hit, I even overheard a conversation between a couple students who were getting up to leave their desks. “Do you play HQ?” asked one. “I haven’t, but everyone’s obsessed with it,” the other replied. This conversation, perhaps, is emblematic of the general craze. Everyone seems to know someone who’s playing it or is playing it themselves. It may not have affected campus in a detrimental way, but it certainly has found its way into campus culture. There are even ideas floating around campus to take HQsage to the next level. “I have some friends who have passed around some ideas of having a mass HQ-thon at Wesleyan where we all help each other to win,” Esha Bhandari ’20, who has gotten to level ten before and plays it whenever she finds the time, suggested. 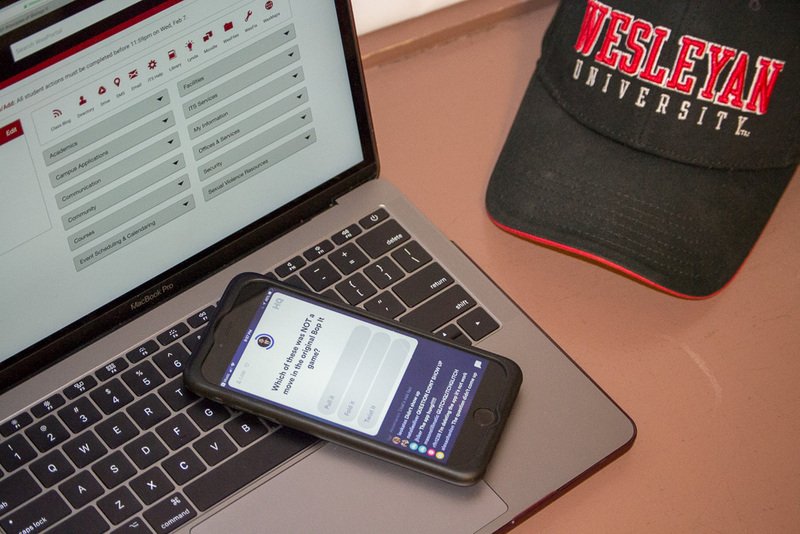 HQ may end up being a larger campus phenomenon, or it may not, but it’s clear that dedicated players haven’t let their Wesleyan schedule get in the way of playing. Hopefully over the course of the year we’ll add even more winners to our list. In the meantime, HQties will continue to play the game, working their way through all 12 questions to win their share of the prize money, and their share of bragging rights.